Like social networking, which increases connections among people by using existing relationships, social petworking connects people through the leveraging of pet power. 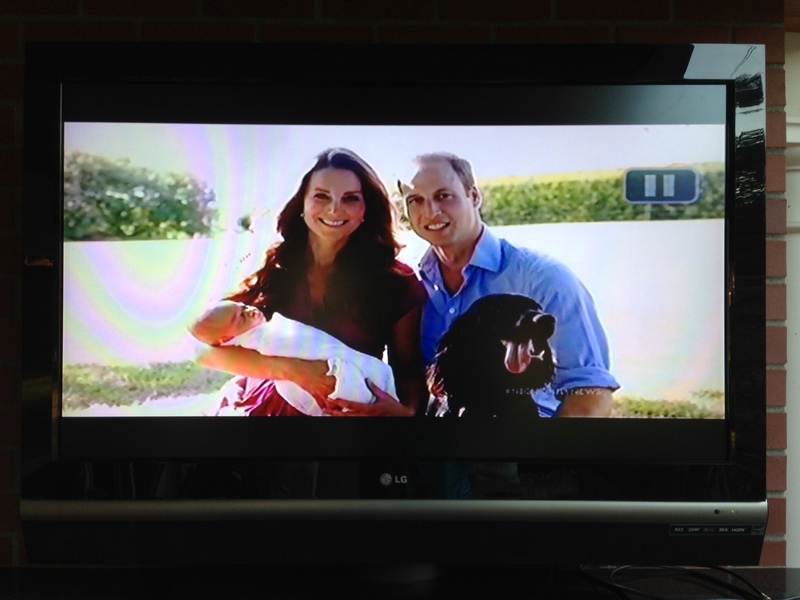 Even the British Royal Family engages in social petworking! Despite the fact that Prince Andrew and the Duchess Kate have the world’s most popular baby, they recently chose to augment their public appeal by releasing a photo that included their dog. Pets can be powerful networking tools, and Kingdom Networkers should take note of the power of social petworking. Remember: our purpose drives us to connect with people so we may serve them, advancing God’s mission through the meeting of human need. The more contacts we have, the more we are able to connect people with each other for mutual benefit, and the more we can serve as conduits for God’s Power to reach them. Pets can be a part of effective Kingdom Networking—remember the man who lent his donkey for Jesus’ use in Matthew 21? Do greet people who are on a leisurely walk with their dog. Don’t try to connect with people who are running with their dog. Do compliment the other person’s dog on its grooming, breed, or friendliness. Don’t offer advice the pet-owner has not asked for on pet maintenance. Do ask what breed the dog is if it is not obvious. Don’t show ignorance by asking about the breed of a dog when it is obviously a poodle, dachshund, beagle, or other highly recognizable breed. Do let small children pet your dog if the dog likes children and the children seem to want to pet it. Don’t invite children who look frightened to pet your dog. Move on down the park. Do follow up on invitations to breed your pet. Don’t offer your own dog for breeding. If the person admires your animal, they’ll mention it. Do move from conversation about the dog to questions about the dog’s owner. Don’t assume you know about the owner because you’ve observed the dog. Do offer your business card to a person you’ve made a good connection with. Don’t withhold your insurance data from someone your pet has bitten. Do follow up the petworking encounter with an email and invitation to coffee, if you think you may have something to offer the person you’ve petworked. Don’t continue talking about your dog if someone says they don’t have a dog and don’t want a dog. It insults dogs and irritates anti-caninites. I hope you enjoyed this playful, almost dog-like chuckle piece. It is written with tail wagging, but with tongue in cheek. Photo of television screen credited to Chris Edwardson, M.D. and used with permission.